Steve Dane is a freelance agent. He could also be called an adventurer as a profession because though he does take the odd job in the cloak and dagger business, a remnant of his former CIA days, he does so more for the fun and the excitement than to pay the bills. Paying those bills is not difficult for Dane since a windfall during a previous adventure. Now he can take the assignments and fight the fights he wants rather than at someone else's bidding. Dane is a ruggedly handsome man who nevertheless carries more than his share of scars, chief ones being burn scars from a near fatal helicopter crash. Despite these reminders that things do not always go right, he is still attractive and gets a good deal of looks from the ladies. It is not unreasonable to think, though, that this attention is due to the confident way he goes about his day. Dane is quite capable of taking care of himself. The scars and the occasional aches and pains from previous injuries remind him that he is not as "bulletproof" as he once thought himself. When he was 18 and joined the Marines, eventually finding a position in the Force Recon, he fought in numerous battles around the globe, many of them not reported in the evening news. After his enlistment came to an end, he worked as a private contractor and found more work than he could have imagined in Iraq and Afghanistan. It was doing this work that he first came under the umbrella of the CIA. They have a considerable amount of missions for a man with his honed skills and he brought them to successful conclusions earning a lot of plaudits and even more friends, though a few enemies as well. A particularly painful betrayal, though, ended that and Dane went his own way. That lead him into creating a mercenary unit called the "30-30 Battalion" and it lasted a few years in some even nastier scrapes than he had experience before. One of those ended nicely, though, with Dane in possession of many millions in diamonds. His mercenary days ended and his adventuring ones started. One of those adventures involved the hunt to Anastasia's missing jewels. The baubles in question turned out to be fakes but the mission brought him into contact with the lovely and lethal Nina Talikova, a woman loving excitement and danger as much as Dane. 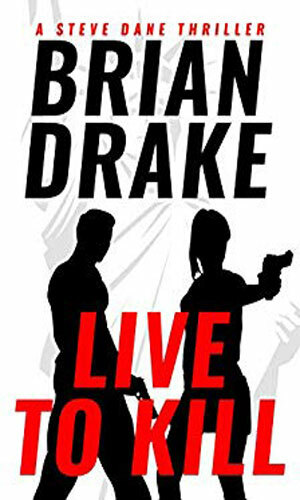 She was a decorated agent with the Russian FSB and might have remained so except the idea of life with Dane sounded better. Either of these two would be trouble for an opponent. Together they are formidable. And a lot of fun. After I read the three books in this series, and loved them all, I received word from the author that he had rewritten and repackaged the series so the original titles and descriptions were not valid so much any more. I have made the changes but if I got it wrong, well, sorry! 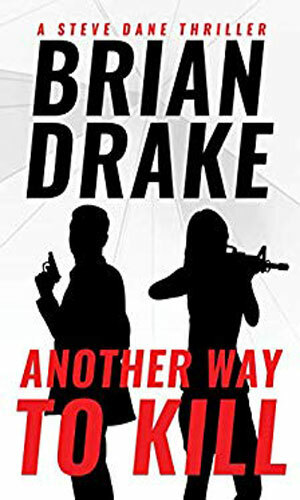 It started with an attempt in Italy to save a young woman from being kidnapped, which got Steve Dane and his lover, Nina Talikova, involved with the Mob and quickly moved to a battle with a powerful arms dealer known only as The Duchess. 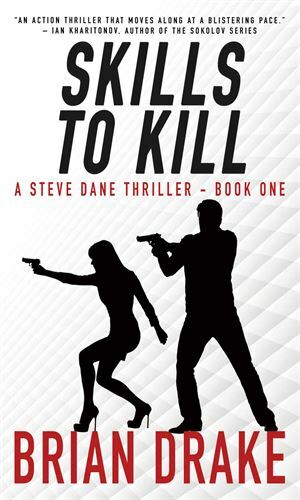 The trip to Monaco was a vacation for Steve Dane and Nina Talikova but witnessing a murder changed that, especially when the deceased is a secret agent involved in a plot by the Russians to steal U.S. technology. Someone in the Agency has a personal objective and is using the CIA's resources to pull it off. When Steve Dane and Nina Talikova learn of it, they become a danger and trouble is thrown their way from DC to South America. I want to be Steve Dane. If you are male and breathing, you do, too. Steve Dane is not perfect but he is darn close and that is good enough. I might not say that Dane is larger-than-life but if I talked to Life, I think it would want to be Dane as well. This might sound like it is putting Dane down but I do not mean it that way. Dane is a terrific character. Unrealistic, sure, but still terrific. The trouble he gets into is implausible and the way he gets out of these jams is unlikely and you will not care. Really. You will just wish you were him doing it. And if Dane were not enough, and he is, there is the fantastic Nina. Oh, my stars. Nina. Wow! 'Enuf said. Three books worth, I've wanted to be Dane and be near Nina. I want more. Many more.